Aloha Taste of Waipahu Crowd! 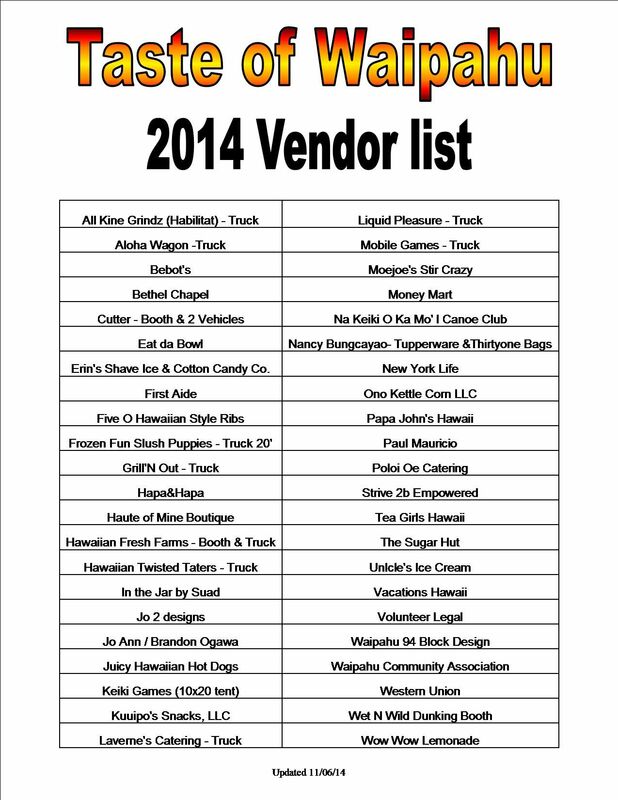 Here it is, the latest Vendor List for this year’s Taste of Waipahu Event to be held on Saturday, November 15, 2014. Come one, and come all!